While arriving to the Glendale Sports Complex for Chris Brown’s Kick’n It For Charity celebrity kickball match in California on Saturday with Lil Twist and others, the media asked Weezy F Baby a few questions. When asked if he was dating Christina Milian, Tunechi answered “nah, now I’m dating J. Lo, you ain’t heard? We going steady”. Then the press ask Tune “how long?” to see how long they have been dating, but he changes the subject completely by saying “pause, that’s personal” haha! In related news, you can watch TMZ interview Christina as she arrived to the celebrity kickball game separately from Lil Wayne after the jump below. Tina let’s the TMZ guy know that her and Wayne “make music together” and that is all. Above, you can watch Derick G‘s full recap of Cash Money Records’ 3rd Annual Pre-Grammy Party on February 11th in Los Angeles, California at the Paramount Studios. 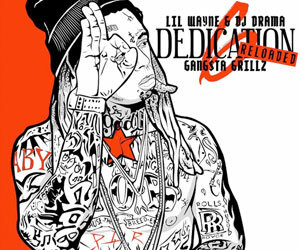 In the video, you can see most of the Young Money Cash Money family arriving to the party, chilling and taking interviews on the carpet, having a good time inside the party, performing, and Lil Wayne‘s speech at the end were him and Drake receive their plaques, announces Christina Milian as the new artist signed to Young Mula, and disses The Throne! YMCMB a flashy lifestyle. 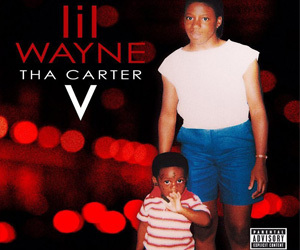 After the jump, you can watch some footage of Weezy, Dhea, Mack Maine and E.I. leaving the Staples Center after watching the Los Angeles Lakers vs. Miami Heat game on March 4th. In the video above, you can watch some footage of Lil Wayne performing live in Ottawa, Canada on August 26th for his “I Am Still Music” tour. Tunechi performs “I’m Goin’ In“, “Look At Me Now“, “Bill Gates“, “A Milli“, “Got Money“, “Swag Surfin’“, “Motivation“, “John“, “I’m On One“, “Miss Me“, “I’m Single” and “Mr. Carter“. Shouts to WYWCM for the footage, and you can watch some more footage and view some pics from the same show here!